Foodservice reaches into homes and families worldwide. Within our group, each decentralised business makes its own social and sustainability contribution in its own way. It is impossible to itemise every intervention, but we can describe some projects and the general Bidcorp approach. Bidcorp believes in partnership and alignment. Partnership with specialists in various areas ensures optimum impact and minimal duplication. Alignment ensures focus on national and international priorities. Many interventions dovetail with the UN’s 17 sustainable development goals. Bidfood UK has a proud record of community assistance and work to promote improved environmental practice. When the team commits to a project, progress can be significant. 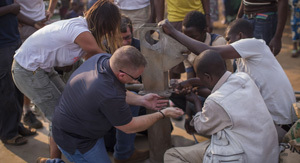 One example is the partnership with The One Foundation, a non-profit that brings clean, safe water to marginalised communities in a bid to break the cycle of "water poverty". Through this partnership, Bidfood UK is helping to fund water, sanitation and hygiene programmes in some of the world's poorest countries. Work includes the construction and rehabilitation of water points, hand-washing stations and school latrines while assisting public health initiatives and contributing to capacity-building. 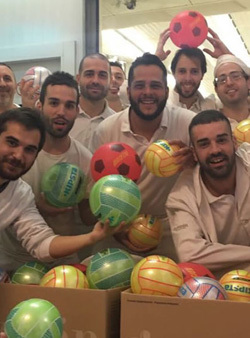 The Group newcomers at Guzmán Gastronomia are known for their community spirit. They target their assistance at areas of greatest need. For example, they donate to food banks that assist disadvantaged people, provide fruit and vegetables to the homeless and at Christmas time give gifts of toys and sporting goods to children in hospital. Bidfood Belgium provides wide-ranging support in various areas of need. The business assists foodbanks across the country and, in partnership with suppliers, provides food and coffee for the homeless. The business is also a sponsor of Médecins sans frontiers and La ligue Braille (a charity focused on help for the blind). Staff participate in the annual 20km Brussels run – which becomes a vehicle for raising money for good causes, while the business is known for laying on "discovery visits" to its premises, thereby giving unemployed young people an insight into job opportunities. Our business in the Czech Republic and Slovakia assists in various areas of need. A major project in Czech Republic is support for the national Lunches4Kids project that ensures children from low-income homes receive filling, nutritional meals in their school canteens. Various local charities, schools, nursery schools and sports clubs also receive assistance, sometimes financial and sometimes donations of food. The hockey club of the city Kralupy nad Vltavou, (where the Czech business is based) also receives support, with the focus on young hockey players, who wear apparel branded with our Nowaco logo. Cultural support is given as well. The business is a long-time partner of the National Theatre in Prague. Support for the Graeme Dingle Foundation (GDF) is central to CSI strategy at Bidfood NZ. GDF is a child and youth development initiative that transforms young lives, supporting over 25 000 kids at more than 100 schools. GDF's work began over 20 years ago in response to a youth crisis and youth suicide rates that were of the highest in the developed world. 19,8% of New Zealand children live in relative poverty. The aim is to create stronger, healthier and happier young people. Last year, Bidfood's financial donations helped almost 20 000 students in 89 schools. In addition, Bidfood teams give food to GDF events and support fund-raising drives. In nine years, donations have topped NZ$600k, and in 2016 to 2017 we gave NZ$114k. Donations are underpinned by an annual profit percentage from SmartChoice sales. Research shows every donated dollar generates NZ$7,15 in long-term benefits. We also support associated school-based initiatives, including Kiwi Can (a life skills programme), Career Navigator (a work-readiness scheme), Project K (youth mentoring) and MYND (interventions to stop young offenders re-offending). Local Bidfood staff participation is whole-hearted and often high profile – such as the time the head of marketing was pushed off the top of an Auckland tower in a "Drop-Your-Boss" fund-raiser. 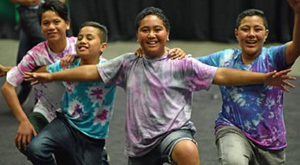 A key community programme in Australia is KickStart for Kids. This programme, launched in 2011, is driven by the belief that every child, regardless of background, deserves an equal chance. KickStart for Kids runs breakfast, lunch and mentoring programmes in South Australian schools. It also provides clothing and addresses healthcare needs. If children are hungry or encounter hardship, they cannot fully engage at school. This hobbles educational outcomes, with the risk that the cycle of poverty and marginalisation will be perpetuated for another generation. Research shows that children who grow up in hardship are more likely to be poorly educated and face deprivation as adults. KickStart for Kids tries to level the playing field. To assist the programme, Australia donates a pallet of milk every week. This equates to an annual contribution of A$30,000 and enables KickStart for Kids to serve around 40 000 breakfasts and 10 000 lunches a week at over 300 South Australian schools. The South African business fosters job creation, enterprise development and personal growth. Its Certificate Programme in Professional Cookery has become a springboard into the foodservice industry for previously unemployed young people. Support for job-creating micro-business includes provision of premises and equipment for a truck-wash start-up, called Twin Cities, now successfully supplying all BF's largest depot's truck-washing needs. A black female-owned farming and food processing business, Urban Grown, has also migrated to BF's supply chain following targeted support. BF has assisted them in positioning themselves as a larger scale commercial farming supplier to the broader fresh food market. Another beneficiary of the enterprise development initiative is a black-owned retail food product supplier, Athi Foods, now a successful entrant supplying the smaller retail food market. Development programmes assist drivers through training in defensive driving while unemployed black graduates living with disabilities receive business school training in management skills, often a gateway into the business's internship programme. Selected black employees also benefit from management development programmes. One focus area here is talented black females. Additional training, mentoring and coaching programmes are designed to fast-track black staff into management and senior management roles. Our core China business has a longstanding reputation for community support and leverages enduring partnerships to help those in need. For instance, Angliss is a long-term supporter of SAHK, an association that assists 15 000 families with physically and mentally challenged family members. This NGO provides world-class rehabilitation services with the aim of building self-reliance. It assists those with cerebral palsy, autism and Parkinson's disease, those experiencing developmental delay, those recovering from stroke and those with learning disorders. One target for corporate assistance is Nkosi's Haven in Johannesburg, a facility that helps HIV+ mothers, their children and AIDS orphans. Well-balanced meals and nutritional food are vital for Haven residents. Funding for ARVs and education is also needed. Bidcorp assistance helps ensure these needs are met. 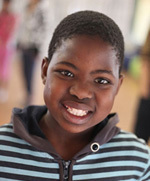 For optimum effectiveness, Bidcorp partners with ORT South Africa, a non-profit developmental organisation committed to "Educating for Life". "Second Chance" is just one project where exceptional results have been achieved. This year-long maths and science programme helps post-matric students who require improved results for entry into tertiary institutions. Another project has given a nationwide lead by bringing coding for computer software, apps and websites to township schools. The Grade 8 Coding Club for 14-year-olds is an extra mural activity in the Ivory Park township north of Johannesburg. These computer-savvy "coding kids" are now working on several projects, including a digital timetable for teachers, a motion sensor safety tool for the blind and a driverless bus.